I am sure every gardener has their favorite vegetable that they like to grow from seed. So what constitutes an easy vegetable? The dictionary definition of the word "easy" is the achievement of something without great effort and with few difficulties. 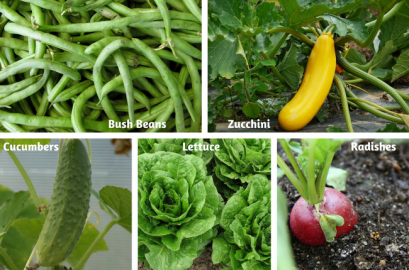 What that means to me is that an “easy” vegetable will produce a significant crop in terms of volume without having special requirements such as the need for staking or special treatment when it comes to fertilization or pest control. In addition to these characteristics, I would add that easy vegetables are ones that don’t need to be started indoors but can just be planted directly in the soil. 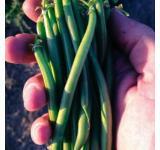 Bush Beans - While beans in general, are easy to grow Bush Beans, unlike Pole Beans, don’t require supports to grow on. 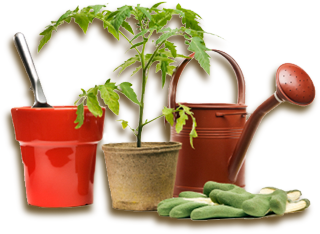 If planted in average garden soil they will produce heavily and I have not had problems with pests or diseases. Even in less than full sun conditions I have had a great deal of success with the Blue Lake 274 variety in particular. After all danger of frost is gone simply spread the seed about 6 inches apart, push them into the ground and in no time you’ll be on your way to a significant crop. Cucumbers - I’ve grown both bush and the vine varieties of Cucumbers and always had plenty to share with my neighbors during the summer months. The vine varieties produce more Cucumbers if they are provided supports and grow vertically but I’ve grown them along the ground with no difficulty Plant the seeds similar to how you would plant beans but space them about a foot apart. A good layer of mulch applied in June or July will help regulate the moisture content in the soil and if you see any leaves turn white with powdery mildew just remove them to prevent the spread of the fungus. The leaves won’t look nice but it doesn’t seem to impact the quantity of Cucumbers produced. Lettuce - There are plenty of varieties to choose from all of which are highly resistant to bugs or diseases. Slugs seem to be the biggest problem and they can be kept in control with some containers of beer. Lettuce prefers the cooler temperatures of spring and fall and although it prefers full sun it will tolerate some shade too. Plant the seed directly in the soil in rows about 12 to 18 inches apart and when the sprouts develop their 2nd set of leaves thin them out so there are 4 to 6 inches of space between plants. If you sow Lettuce in 2-week intervals you can have lots of leaves for salads most of the year. 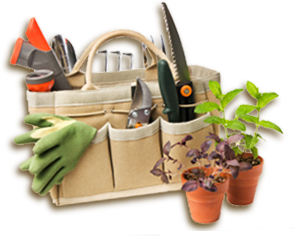 Here is more detailed information on Growing Your Own Lettuce. Radishes - This vegetable has similar requirements as Lettuce except you’ll thin them to only 1 to 3 inches apart. This is one of the first vegetables you can plant in the spring and some varieties can be harvested in less than 45 days after being planted. 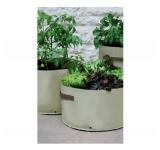 They perform equally well in containers as they do in a large vegetable garden. You can eat them raw, slice them in a salad or stuff them for hors d’oeuvres. 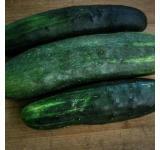 Zucchini - The large seeds of zucchini are easy for small fingers to handle and along with its large leaves make it a great choice for a children’s garden. While they take up a lot of room in a garden they are so easy to work with that I have grown them in a large container on a deck with a lot of success. Zucchini has a lot of the same needs and characteristics as Cucumbers and you’ll have plenty of fruit to share with your friends and family. 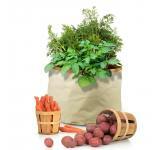 I am sure that you might have your own nominee(s) for easy to grow vegetables. Please share your favorites with us on our Facebook page!